On Friday August 26th we scored our version of an Olympic Gold! 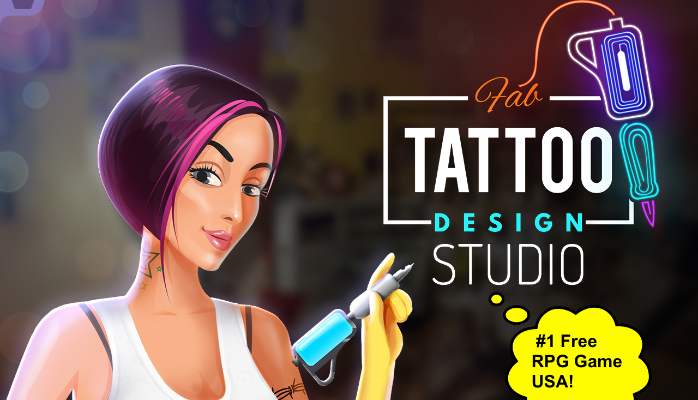 Our fun game – Fab Tattoo Design Studio hit the #1 rank in the Role Playing Games category of the USA Google Play Store! We also ranked #1 in India (RPG) and in 50+ countries. That was a BIG moment for us! As an Indian Company that has always strived to be the best Company FROM India, and not just IN India, this was solid proof of our intent and execution. 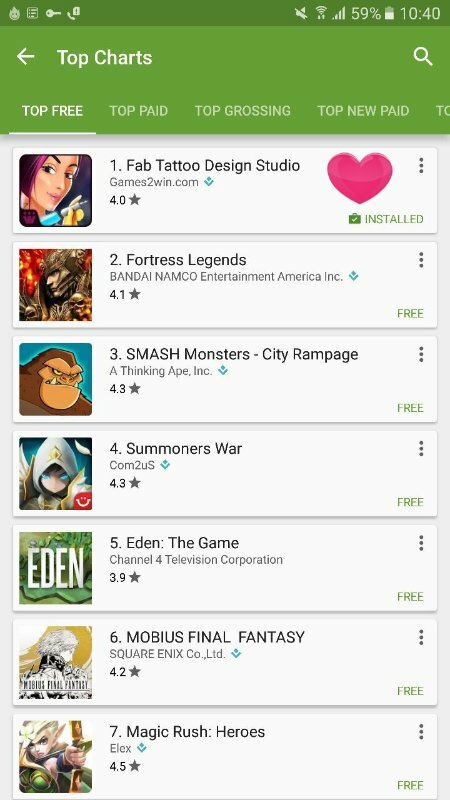 Of course this was not the first time for us – in 2012 we hit #1 on the USA iTunes rank, and again in December 2015 #1, #,2 and #3, but this success was on the USA Google Play Store – our first! Games2Win has a deep understanding of Teen Girls and we realise they love to do things that are on the borderline of parental approval (driving fast, partying etc). This is a learning we have accumulated over the years and have had the opportunity to leverage time and again with concepts and game ideas. Lesson 1: Teen Girls are the same world over and once you can really understand how they think, you can make games that can be global hits. The key is to be obsessed with a Target Audience and to get to know them better than themselves! How did it work in this case? 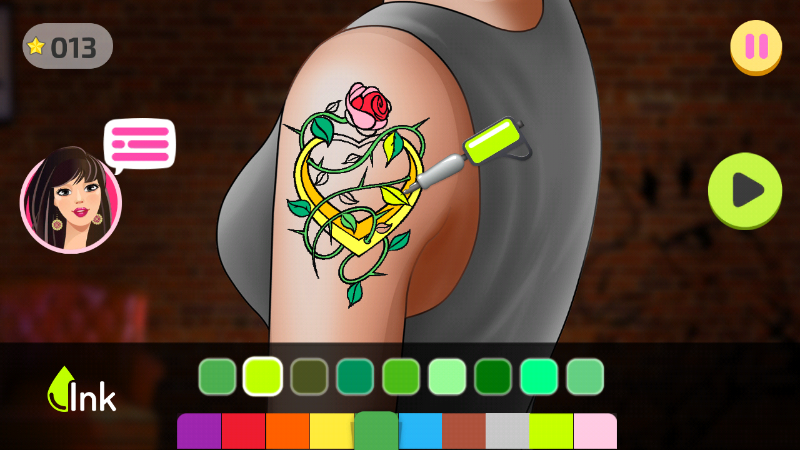 One of the big aspirations for young girls is to experiment with Tattoos! Its ‘taboo’ for parents and awesomely rebellious for teens to demonstrate their individuality! 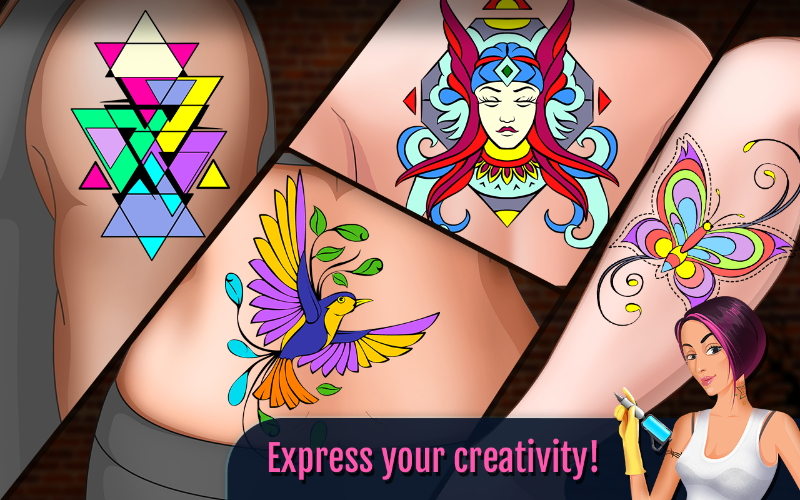 We deeply worked on this and created a game that had unique proposition in an App store already crowded with Dress up and other games! Lesson 2: Being ‘different’ is not good enough, being different and meaningful (in this case expressive and rebellious) is! If you have to innovate, go all the way (create a whole new game idea) – not just with some bells and whistles. 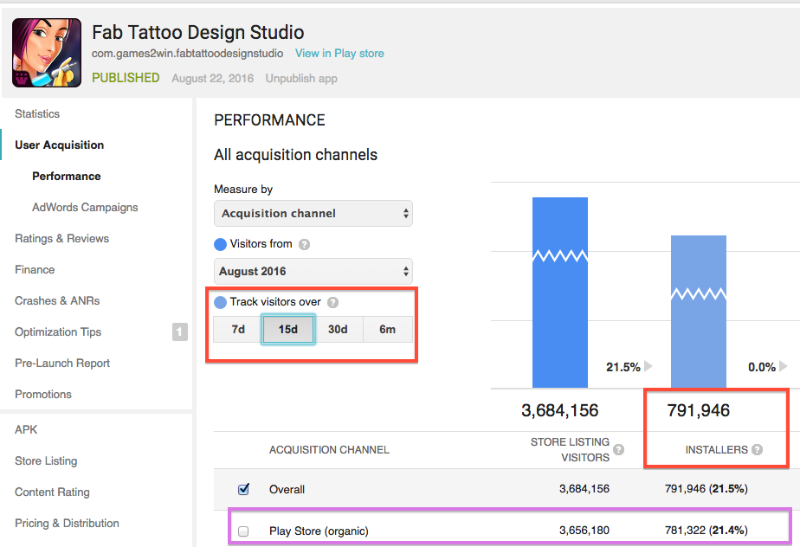 Within 2 weeks of launch, the game hit about 800,000 downloads WITHOUT any ad spends or marketing budgets. The downloads are purely viral and organic as seen by this chart. As a Company with over 91 million downloads, we have zero consumer acquisition budgets. We don’t have a marketing department. We don’t buy traffic. We believe that our consumers are our marketers and if make something that’s great, they will tell the world. If WhatsApp, Facebook and Google exploded by word of mouth as did Candy Crush and Angry Birds, why not our games? Lesson 3: It is PUNISHING to be left alone in the dark cold desolate world of the app store without any traffic or consumers coming at you. But that’s the discipline you have to cultivate. This game had a very rocky start. The UX was clumsy and the game failed to work on lower spec devices. We iterated over 4 times in a single week (including Sunday) to get the game right. Then magic took over (which included Google giving us promotion love in the final week)! The takeaway is to believe in consumers more than fake clicks and tricks. If you delight them, they will delight you back with a vengeance. And that includes taking you to the #1 spot!